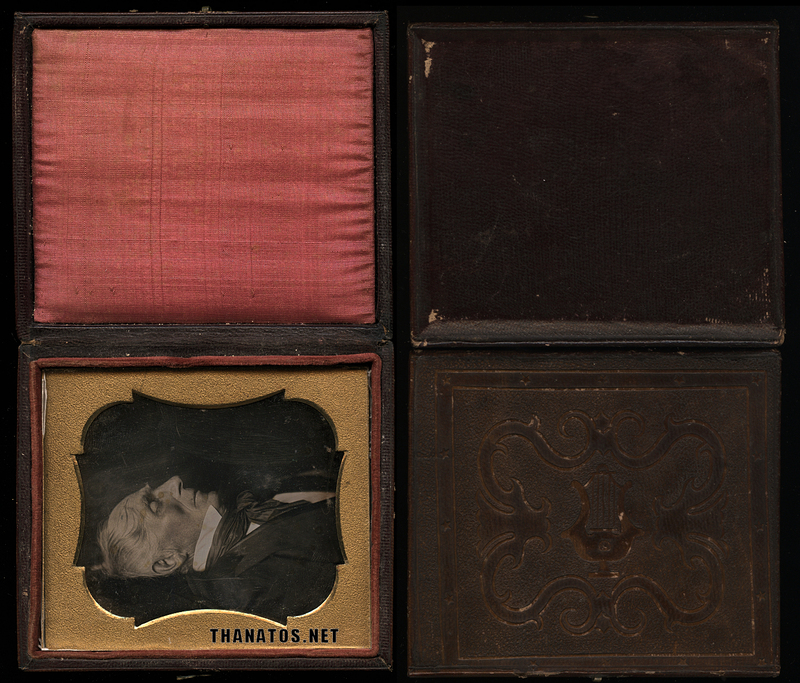 Sixth-plate, mid-1840s post mortem daguerreotype of a well-dressed man in profile, full, original case. Very good antique condition.. very light wipes, hard to see. light tarnish. Resealed with archival tape. To receive your discount, contact me at info@thanatos.net to verify your membership before purchasing. 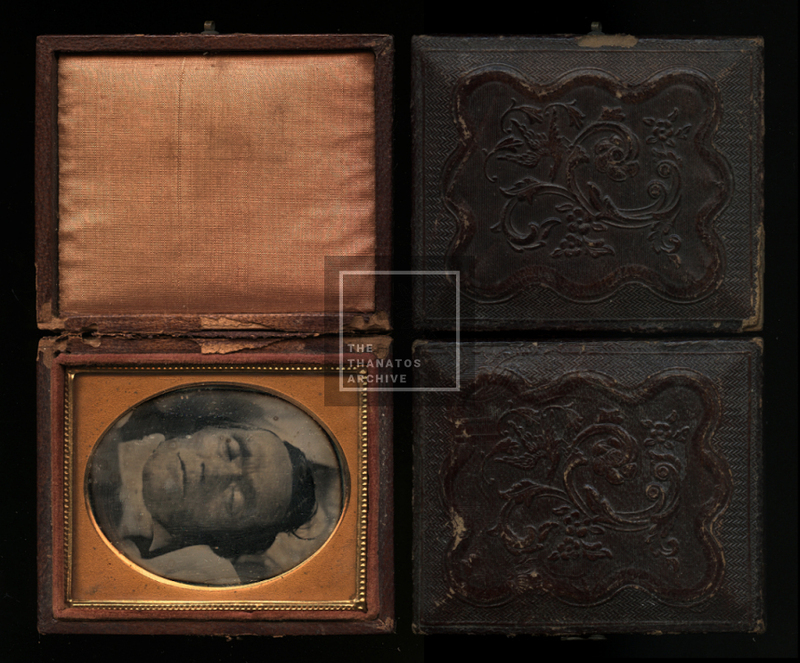 Ninth-plate, c1850 post mortem daguerreotype. Rare extreme close-up of a man in it’s full, original case (separated covers). Light tarnish, otherwise in excellent condition with its original seals still intact. 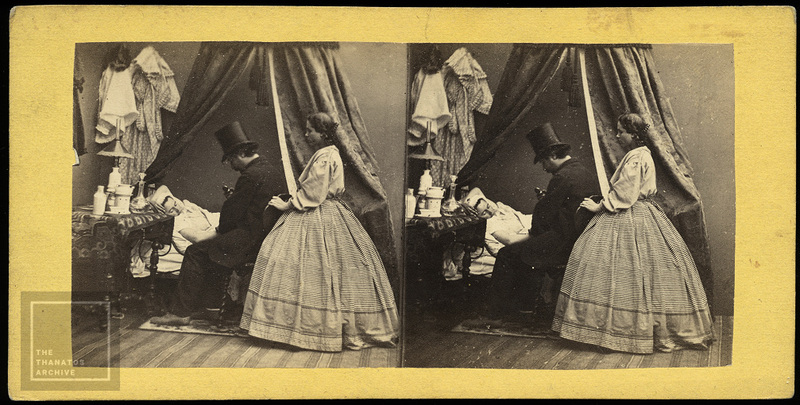 One of two early-1860s 1/6 ambrotypes in our collection of Dr. William Whitney Godding, taken at around the time he began working as the Superintendent of the Government Hospital for the Insane (later renamed St. Elizabeth’s) in Washington, D.C., along with a period engraving. Godding worked at SE for many years, where he tried to provide good conditions for and humane treatment of the patients at a time when a lot of them were treated poorly. Several buildings on the East Campus of St. Elizabeth’s were named after him, but they eventually emptied out and fell into disrepair. I think they’re being redeveloped by the city now. 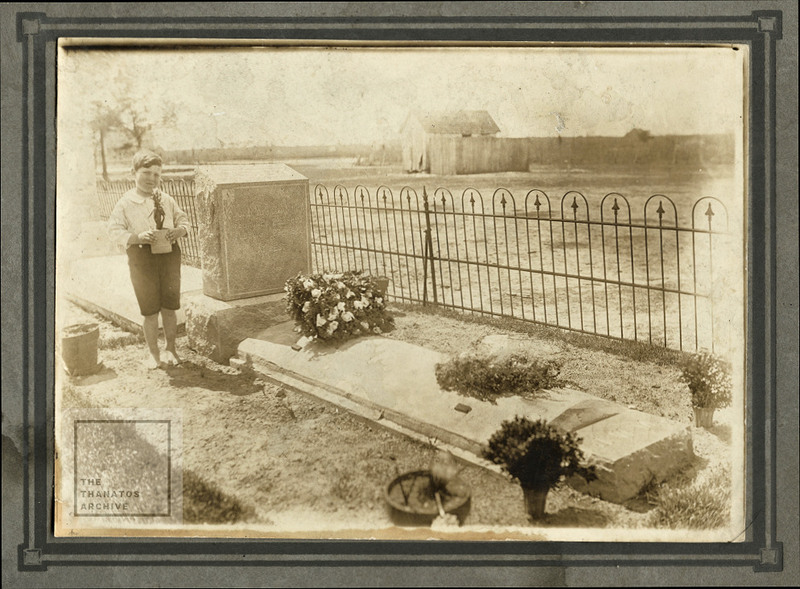 January, 1925: 4-year-old John McNamara Jr. taking flowers to the grave of his father, who died in 1922 at 41 years old. His grave is located in East New Market Cemetery, in Maryland. John Jr. died in 1969 at the age of 48. We’ve introduced new, lower subscription rates for 2019. 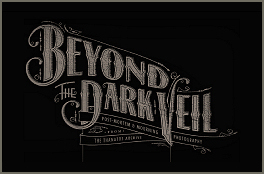 If you want to lock in this price, now is a good time to become a Thanatos Archive member. Already a member? You can extend your current, active membership at the “/renew” link below – the extra year(s) will be automatically added to the end of your current subscription. Also, here’s a tip for all members: Once you are logged in and on the site, you can check your subscription expiration date in your Control Panel, which will be in the lower-left corner of the main browsing screen. New subscribers become an Archive member here. Current members extend your membership here. 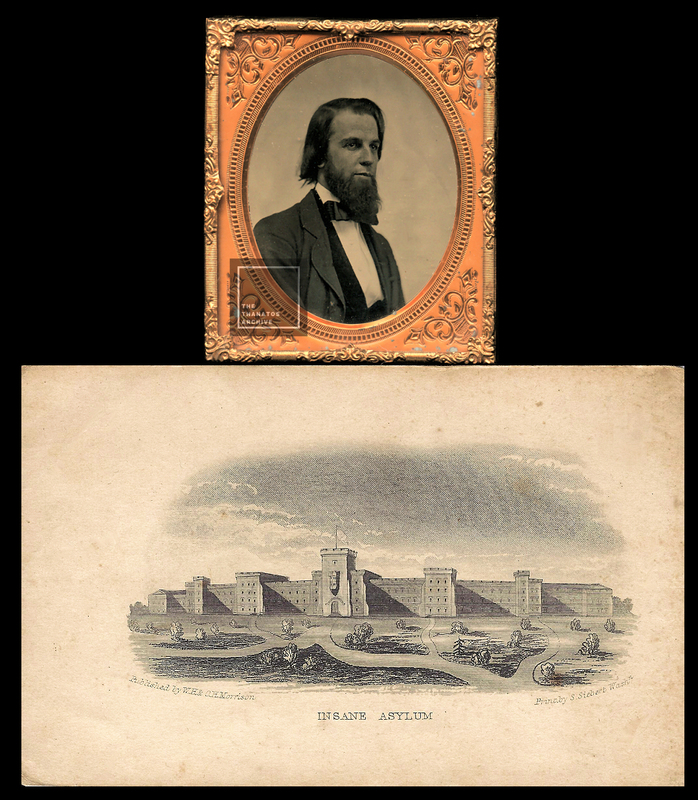 Against all odds, online research turned up a photo of the original painting shown in our posthumous daguerreotype [ Archive Image #3348 ]!! Sadly, it’s not part of our Archive, but was sold at auction in 2012 for around $12,000. The auction describes it as a circa 1840 unframed oil on canvas, measuring 47″ x 30″. If you look closely, you will see the boy is wearing a hoop earring, which I found interesting. 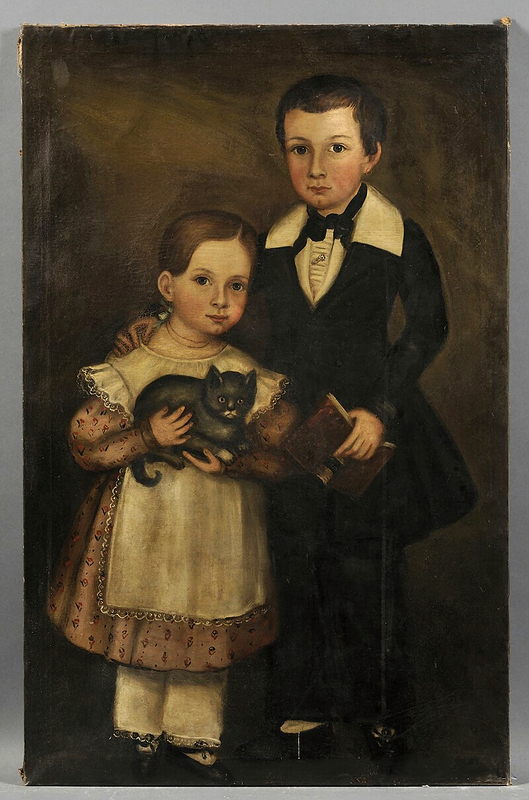 Unframed and unsigned, though attributed to Joseph Goodhue Chandler, an itinerant painter who worked around northern Massachusetts in the 1840s. Unfortunately the children are not identified anywhere on the work.